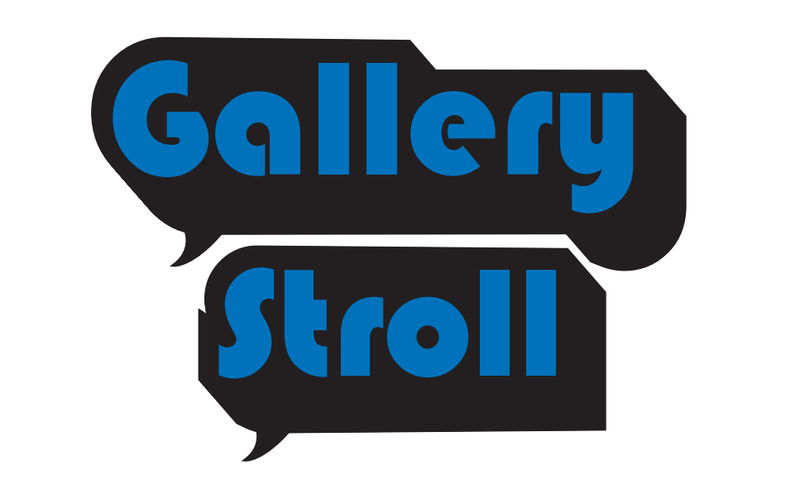 Gallery Stroll is held he third Friday of every month. It’s an evening of art to break up the mundane and one night to take in as much local art as you can. This month on Friday, September 21, The Women’s Art Center (345 Pierpont Ave.) will host the Paper Dolls exhibit, which will double as a fundraiser for the W.A.C. Don’t let the collapsed front dock on Pierpont deter you, the gallery is open and the show is well worth the slight detour. This annual event brings together local, national and international print artists who partnered with musicians to put together some truly original and flattering concert posters. The show will feature work by Leia Bell, Sumerset Bivens, Erin Potter, Allison Glancey and many others. The Women’s Art Center offers exhibits and classroom space to women who desire to learn from women and network with female artists. The show will run alongside an installation by Amy Caron until October 15. The artist reception will take place September 21 from 6-9pm, but if you just can’t wait to purchase this inexpensive original art log on to www.womensartcenter.org for regular business hours. Mosey on west from the WAC down that decrypted dock and you will find the SLUG offices. Utilizing our proximity to other galleries and the popularity of the stroll in our neighborhood SLUG will host artist Todd Powelson in our main hallway at 351 West. Pierpont Ave. Todd grew up knowing his best friend Ben Schmidt would not live to a ripe old age, but knowing did not make Ben’s departure on earth any easier. Powelson is launching an unconventional ad campaign in memory of this friend Ben Schmidt titled Dreams for Schmidty he has purchased ad space in SLUG to unveil his series of work over the next twelve months. This innovative approach was concocted after art galleries dismissed his work because of its digital content. Along with the ad campaign Powelson has decided to donate one of his pieces to Primary Children’s Hospital, but would like the public to vote for which one. The work will be on display at www.toddpowelson.com until September 19, log on and vote for which work of art would offer the most comfort to those that walk the halls. Travel a little farther west to Addicted Café (511 W 200 S) to check out the Bob Moss art exhibit. The show will also feature Bob Moss on banjo, Christian Johnssen and a belly dance performance by members of Blue Lotus Dance Collective. The art will hang until mid-Oct.
As the old Bradshaw building’s neglect becomes apparent and the Pierpont dock falls apart I’m grateful that a new neighborhood is enjoying the fruitfulness of Gallery Stroll—300 S. (Broadway) is flourishing with art and shops. Ken Sanders moved in 10 years ago when the neighborhood was quiet and uninteresting, now every Gallery Stroll the street is bustling! The Kayo Gallery was one of the first galleries to move in and start the buzz. For September, Kayo will revive an old favorite and host Camilla Taylor, print guru and show curator. Currently living in Phoenix Arizona, Camilla enjoys her new printmaker family, but she fondly remembers those she printed with in the past so alas a cross state exchange was born. The two shows will simultaneously take place, one in Arizona at Trunk Space and one at the Kayo Gallery in Salt Lake City. Artists will be able to exchange prints with people they never would have met otherwise. The public will be allowed to purchase prints for an extremely reasonable price of $30 each. The artist reception will take place initially on September 21 for the local gallery stroll and then again on September 29 to allow artists from Phoenix to join in the excitement surrounding our art scene. There is always so much going on the third Friday that it’s a relief to see an art show that isn’t being held during the formal Gallery Stroll. This month the art shows will be just as prevalent the following weekend. Kayo will host a second reception, the quarterly Fashion Stroll with all the hottest fall styles is the 28th and the bi-annual Poor Yorrick Show is the 28th and 29th. Poor Yorrick Studio is located at 126 W. Crystal Ave (2590 S) and only open their doors to the public twice a year. This rare glimpse into the artist work space is very enlightening and with over 36 artists participating it might take you all night and into the next day—it’s a good thing they will be open Friday from 6-10pm and then again on Saturday from 1-5pm. The landscape of Gallery Stroll may be changing, but the passion it invokes will endure.